The Las Vegas area has been many things in the past century-and-half—a Mormon outpost, a ranch, a railroad town, a suburb of Hoover Dam, a bedroom community for the atomic bomb test site, and, of course, an adult playground. Fortunately, there’s the Clark County Museum, a place dedicated to preserving and telling all that rich and colorful history. Wandering through the museum, it’s easy to envision all the various pieces of the Las Vegas story. Following the displays chronologically, you learn that the Vegas tale began long before the arrival of white settlers with the establishment of the Mormon Fort in 1855. Originally, prehistoric Native Americans populated the Las Vegas Valley. Often known as the Anasazi, these early residents left a few reminders, some of which are on display, including hand axes, arrowheads, tools and petroglyphs (rock writings). To help tell each part of the story, sensors triggered by your movement cue audio recordings that bring alive the dozen or so exhibits. For example, Native American chants and drums begin while viewing a diorama recreation of a Southern Paiute encampment. 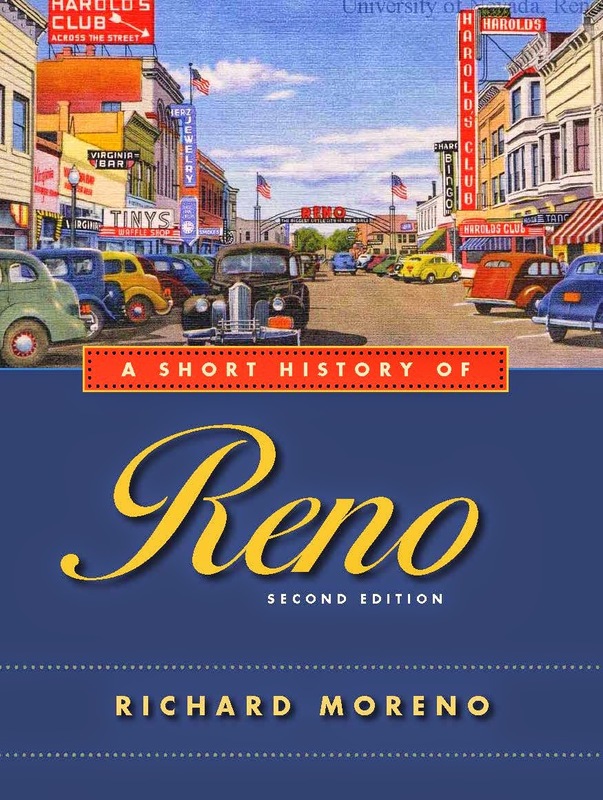 You also can read about the period of exploration and settlement, including visits through the region by Jedediah Smith and John C. Fremont in the early 19th century. The display includes an 1840s flintlock musket, maps and farming tools. Another exhibit describes the attempts to develop commercial mining operations in the area, including the Potosi mine (worked in the 1850s) and the nearby mining camp of Searchlight (about 90 miles south of Las Vegas). A mineshaft filled with antique mining equipment helps illustrate this period. A pioneer life display (accented by steamboat sounds) tells about the efforts to operate steamboats on the Colorado River, and settlements in the southeast part of the state. Nearby, a fun exhibit (highlighted by cricket sounds) recreates the tent city of Las Vegas at the turn of the century, when the Union Pacific Railroad was auctioning lots to encourage development of a railroad town. Photos and artifacts talk of the legalization of gambling in 1931, the first casinos, the building of Hoover Dam, the arrival of Benjamin “Bugsy” Siegel and development of the Las Vegas Strip in the 1940s, and entertainers who performed in the hotels. An exhibit on the 1950s, shows the financial impact of the establishment of the Nevada Test Site (where the nation tested atomic and nuclear weapons). Of course, there’s a lot more spread over the museum’s 20 acres. Adjacent is the restored Boulder City Depot, built in 1931. Inside, you can find some fine railroad artifacts. A Union Pacific caboose and railcar, restored to working condition, are parked adjacent to the depot, giving the place the appearance of still being in use. Adjacent to the depot, is Heritage Street, a row of restored historic homes and buildings representing various eras in Southern Nevada's past. About a half-dozen buildings have been moved to Heritage Street and returned to original condition with period furnishings. Entering any of the structures triggers an audio self-guided tour. The oldest building is the Giles/Barcus House, a home originally built in the mining town of Goldfield in 1905 and moved to Las Vegas in the early 1950s. It served as a residence and, later, a retail store. Nearby is the Beckley House, built in 1912 by Will Beckley, a pioneer Las Vegas businessman. The California-style bungalow is representative of the type of homes common in Las Vegas during the first few decades of this century. The adjacent Henderson Townsite House is representative of the kind of “company town” homes constructed in the 1940s to house workers at the giant Basic Magnesium plant in Henderson (which was originally named “Basic,” after the facility). Another historic building is the Tudor-style Heritage/P.J. Goumond House, which was built in 1931 by one of Southern Nevada’s gaming pioneers. There is also a replica of a 19th century newspaper office, complete with authentic turn-of-the-century newspaper presses and equipment. 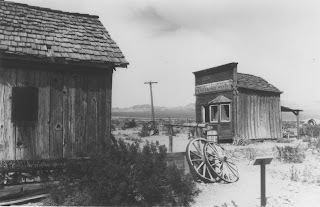 The museum has an interpretive trail that winds through displays of antique mining equipment, a prehistoric Paiute camp and buildings moved from several Nevada ghost towns, including a few from Tuscarora (located north of Elko). The Clark County Museum is located 10 miles southeast of downtown Las Vegas, at 1830 South Boulder Highway in Henderson. The museum is open daily from 9 a.m. to 4:30 p.m. Admission is $1.50 for adults and $1 for children and seniors. For more information go to www.accessclarkcounty.com/depts/parks/museum/Pages/museum.aspx.